Dublin Road, Co Kildare, . 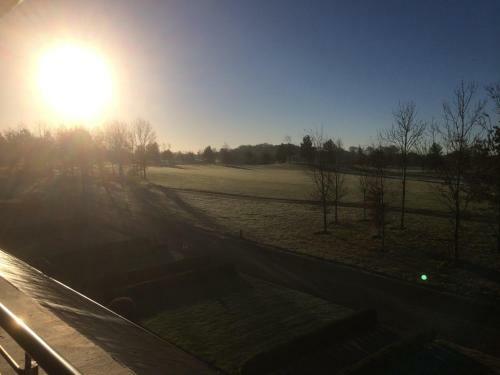 Clanard Court Hotel is based in the equine region of Kildare and surrounded by 8 acres of manicured grounds and landscaped gardens. The emphasis throughout this elegant modern hotel is comfort and luxury which begins in the large foyer with an open fire. Immerse yourself in the character charm and elegance which is the essence of the Clanard Court Hotel. The 3 Great National Central Hotel offers stylish accommodation with contemporary decor complimentary WiFi throughout restaurant bar and conference facilities. The Hotel is ideally located in the midlands in the centre of Tullamore town and provides easy access for shopping sight seeing restaurants bars and the Tullamore night life and is just 5 minutes walk from the train station. The Great National Central Hotel Tullamore boasts a choice of contemporary styled bedrooms designed with your comfort in mind and offers private en-suite bathrooms that feature power showers and baths. Guest Room amenities include multichannel TV complimentary internet access direct dial telephone work desk and tea and coffee making facilities. Our spacious Executive Suites feature a large work desk leather couch and Jacuzzi bath. The hotel offers superb dining in a a relaxed setting. O Malley s Restaurant is located on the ground floor and serves breakfast lunch and light snacks daily followed by an A la Carte menu in the evening with exquisite dishes to suit all palettes and tastes. The restaurant is closed on Sunday Nights. Our hotel bar Bar Polo serves a full range of drinks wines champagnesbeers and spirits and is a great place to relax chat and have a beverage! At the Central Hotel all your private party needs can be catered for - including special occasions private parties family functions birthdays christenings communions and confirmations. The Great National Central Hotel also features conference and meeting rooms The River View Suite and Mill House Suite ideal for a wide range of events including business meetings conferences A.G.M. s training days and seminars. With a capacity from 2 50 delegates our meeting rooms contain specialized audio visual equipment natural daylight and wireless internet access. 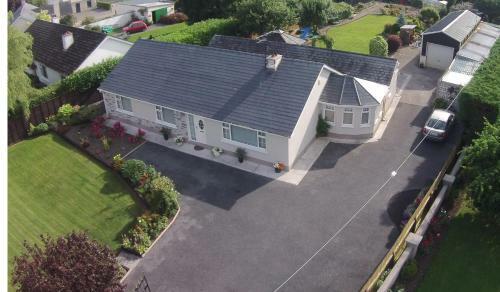 There are many attractions within close proximity including the famous Tullamore Dew Heritage Centre Birr Castle Slieve Bloom Mountains Durrow Clonmacnoise Golfing Cycling Walking Trails and Water-sports on the Shannon to name but a few! The Great National Central Hotel is a great choice whether you are traveling on business or enjoying a leisure break. Our dedicated team looks forward to welcoming you! 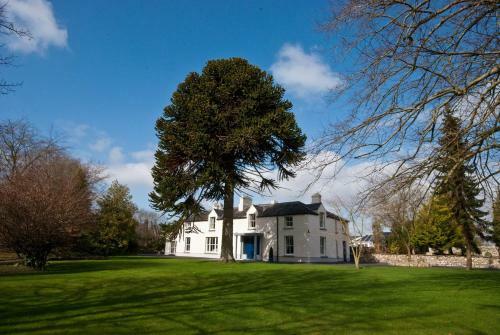 In a scenic quiet location 4.3 miles from Kildare Tulloch offers en suite accommodation with a sun terrace and a shared guest lounge. Free WiFi is available in public areas and there is free private parking on site. br / br / br / br / Each of the rooms at Tulloch feature a cable TV an en suite shower room and free toiletries. Ironing facilities are also available. 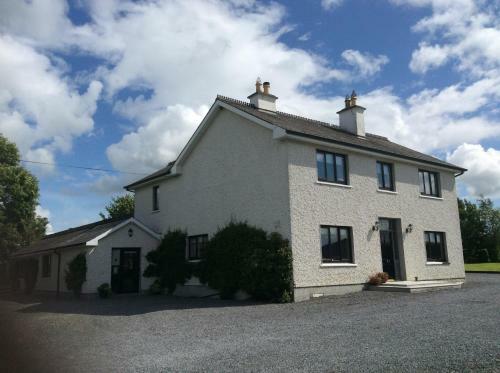 br / br / br / br / The property is situated 10 minutes drive from Curragh Racecourse and Kildare town and shopping centre. The Royal Curragh Golf Club is 15 minutes drive. Dublin is 37.3 miles away. br / br / br / br / We speak your language! 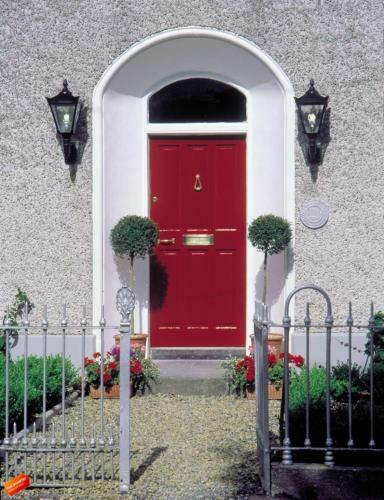 We are located in Emmet Square in the centre of Birr town. 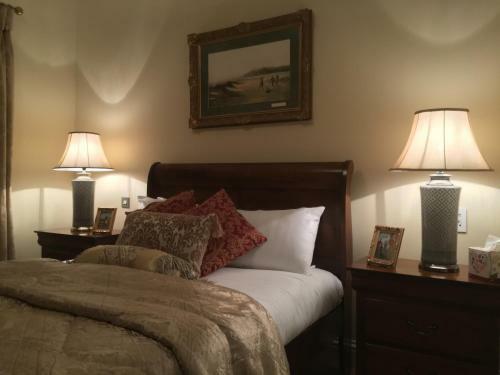 We are a five minute walk from the world renowned Birr Castle and Birr Theatre and Arts Centre.We are 1 1/2 hours drive from Dublin and 1 hour from Galway and Limerick. All our rooms are ensuite with shower toilet toiletries and slippers. 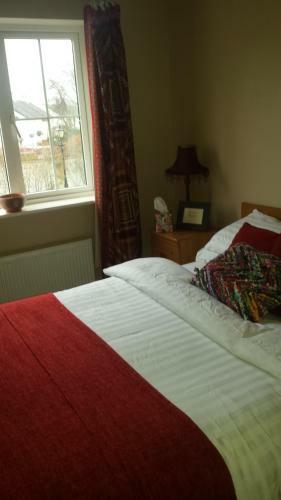 All rooms have tea/coffee making facilities a 32 freesat flat screen tv. WiFi is free throughout the building. We have a fridge available to all our guest on the landing. The Maldron Hotel is just off junction 17 of the M7 motorway, only 5 minute’s drive from Portlaoise town centre and O'Moore Park. It boasts a 20-metre pool, free Wi-Fi, free parking and a gym. 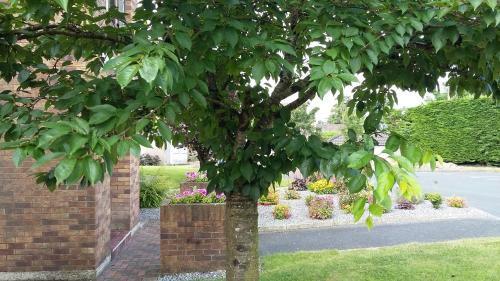 Fairgreen is situated in Portlaoise, 2.1 km from Sky Venue and 2.1 km from The Dunamaise Arts Centre. Free private parking is available on site. You will find a kettle in the room. All rooms are equipped with a private bathroom. 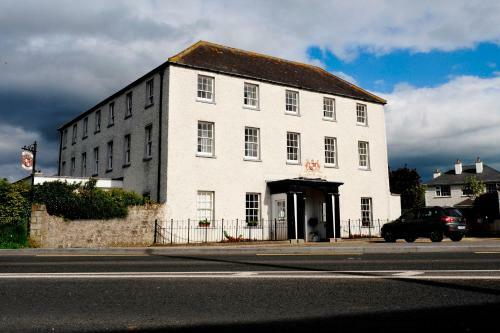 In Portlaoise town centre, a 5-minute walk from the train station, Portlaoise Heritage Hotel has free WiFi, a health and fitness club, Radiance Day Spa and a choice of restaurants and bars. Situated in Portlaoise town centre, O'Loughlins Hotel is a 5-minute walk from the train station and offers free Wi-Fi, free on-site parking and a nightclub. 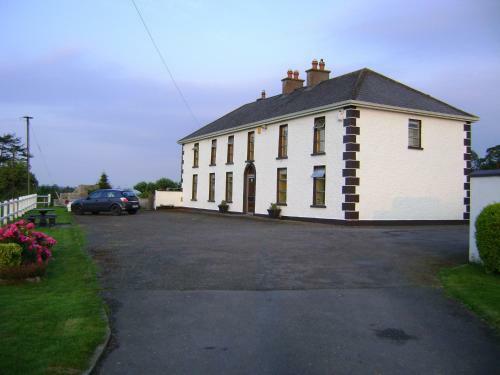 Social Eire is situated in Portlaoise, 1.8 km from Sky Venue and 5 km from National Ploughing Championships. Free private parking is available on site. Some units include a seating area where you can relax. The Killeshin Hotel is one mile from Portlaoise and junction 16 off the M7 motorway. It offers a bistro, an indoor pool, hot tub, a gym and free parking. Rooms at the 4-star Killeshin all feature LCD TVs and large work desks. 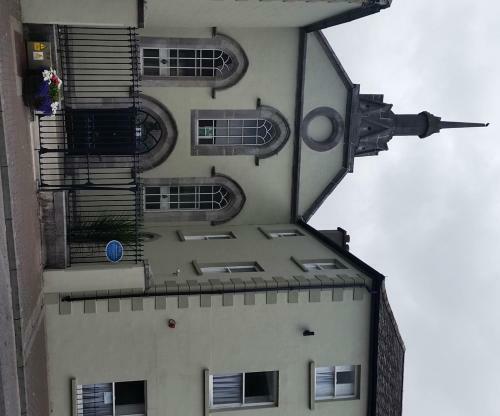 Situated 47 minutes' drive east of the Slieve Bloom Mountains, The Forum Hostel is located in the town of Mountmellick. With free WiFi access in public areas, there is also free on-site parking. Each room benefits from a seating area. Offering a restaurant and bar, The Gandon Inn is located in Emo, 700 metres from the exit off the M7 motorway. Free WiFi is available throughout. Rooms at the Gandon Inn all come with a flat-screen TV, carpeted floors and a tea/coffee maker. 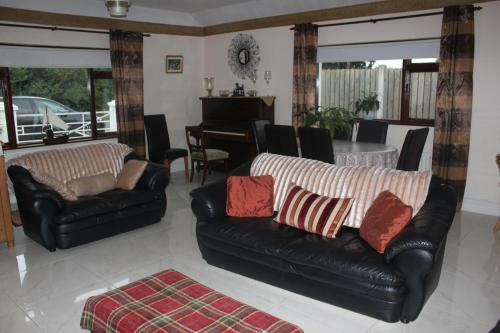 Sawgrass Guest House offers accommodation in Killenard. Free WiFi is offered throughout the property and free private parking is available on site. Rooms include a flat-screen TV with satellite channels.